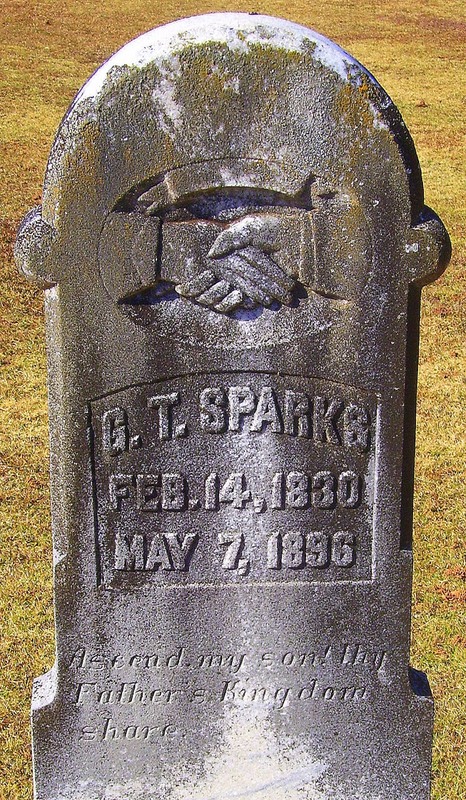 Aside from the clasped hands, a neat feature of Mr. Sparks' tombstone is the epitaph. The phrase beginning with Ascend, my son! is from an elegy written by William Cowper about 1748. An elegy is a mournful, melancholic or plaintive poem, especially when a funeral song or a lament for the dead. William Cowper penned this "Elegy III on the death of the Bishop of Winchester" when he was seventeen years old. 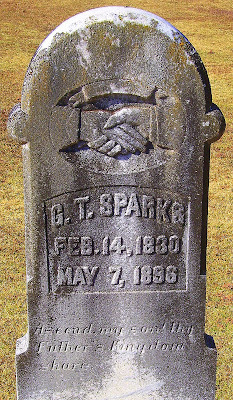 The line following the one inscribed on the tombstone of G. T. Sparks is henceforth be freed from every care.